Good morning, dear readers! 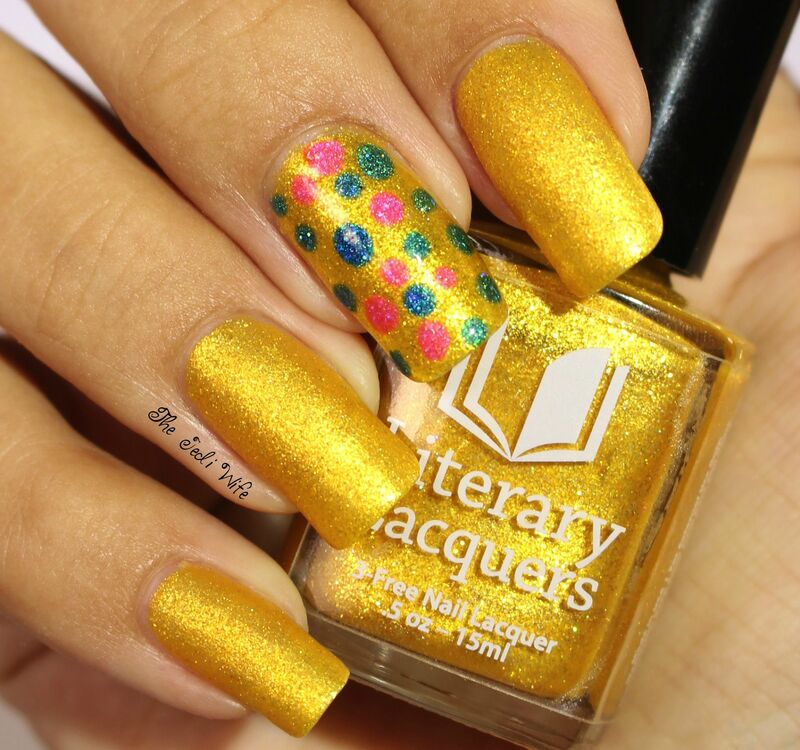 For today's blog post, I have a new Literary Lacquers shade to share with you. Amy, the creative genius behind the brand, is celebrating her birthday, and she is continuing the tradition of releasing a limited edition polish to commemorate the occasion. I had the pleasure of swatching this beautiful polish, and I hope you love it as much as I do! Let's check it out! 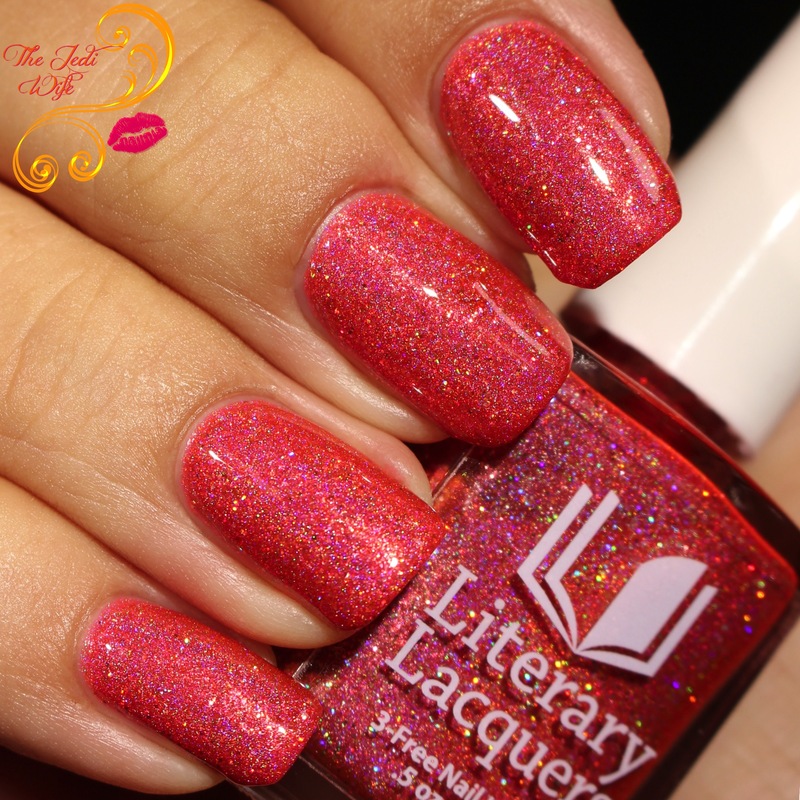 Amy describes this polish as a bright coral mega glitter holo with copper, gold, and rose microglitter. I really enjoy softer reds, and Unspeakably Desirable is exquisite! I adore the extra flashes from the glitter scattered throughout the holographic base! 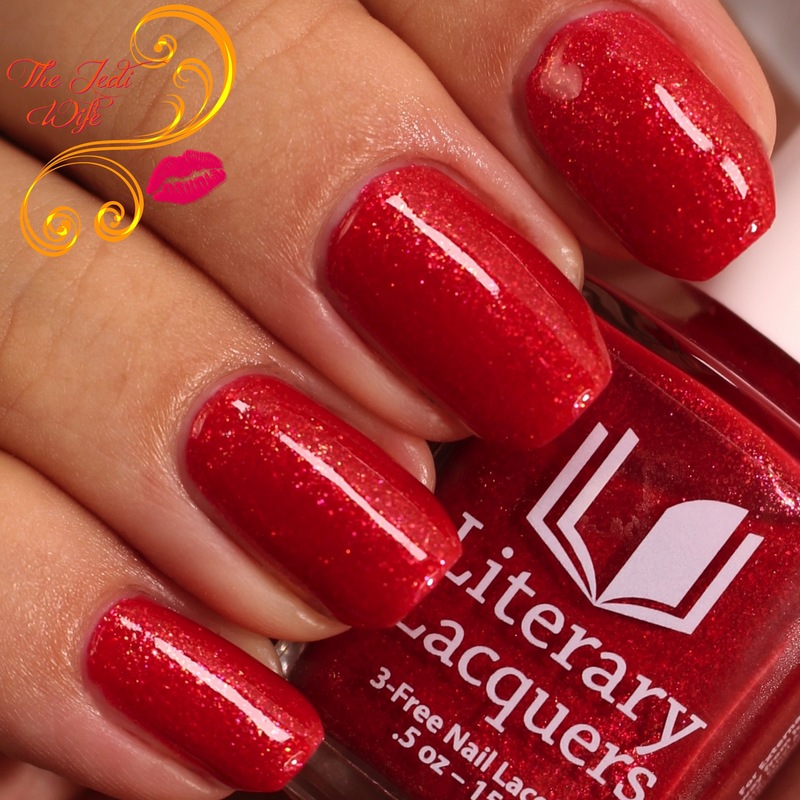 In true Literary Lacquers fashion, the formula of Unspeakably Desirable is perfection. Not too thick or thin, it applied easily with two effortless coats to opacity. I have also added top coat for extra shine for these photos. It is more densely packed with microglitters than I expected based on the smooth formula, and you may want to consider using a peel off base or use the foil method to help make removal quick and painless. I did have a little bit of staining of my nail beds through my base coat; I recommend using a good quality base coat and either painting on the base thickly or using a second coat to prevent staining. 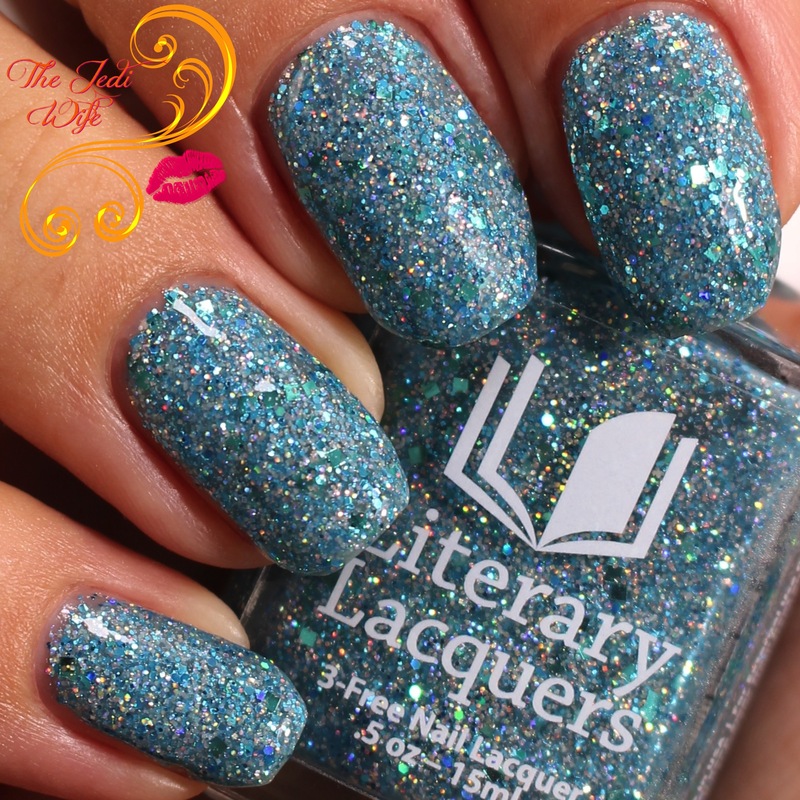 Unspeakably Desirable will be launching on the Literary Lacquers website this Thursday, August 24th at Noon Mountain Time. The bottles will be numbered. 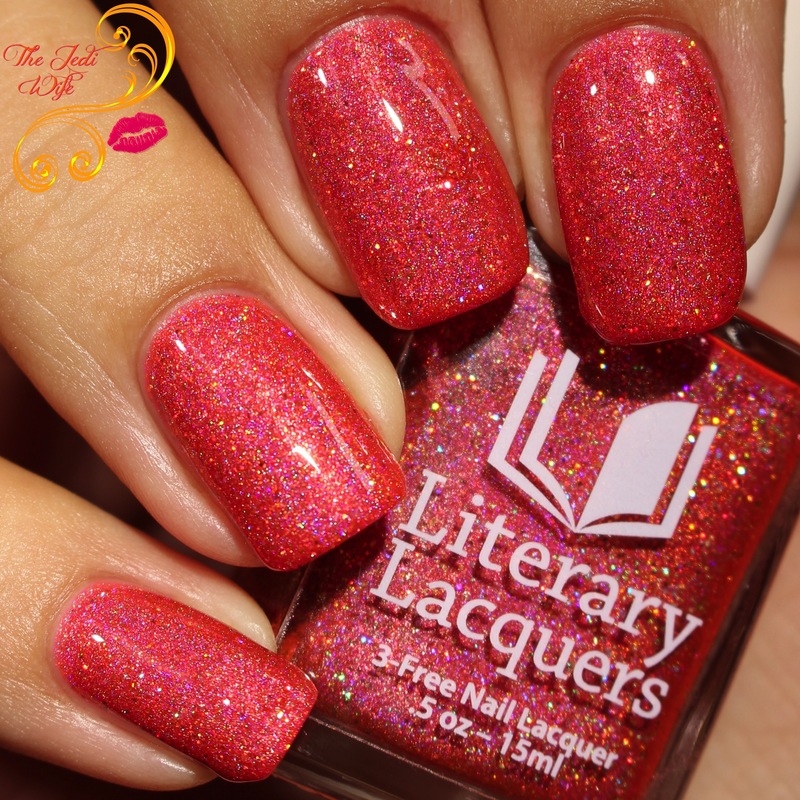 In addition to Unspeakably Desirable, Literary Lacquers will also be launching a new Limited Edition Book Club polish. 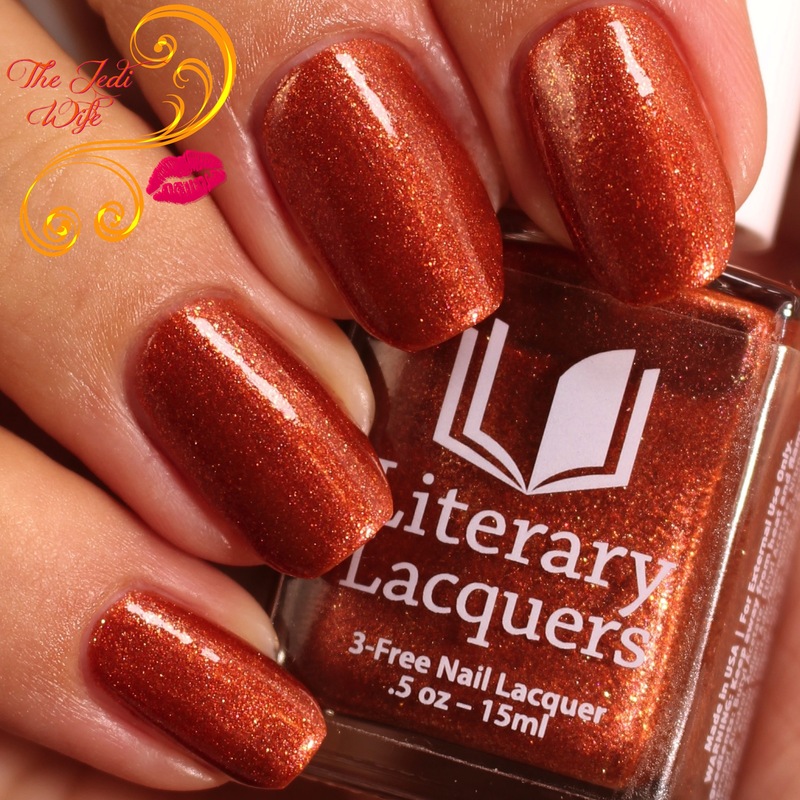 Fans will also see the return of older Literary Lacquers shades to the shop. Shown below are these shades and the links to my original review of them. 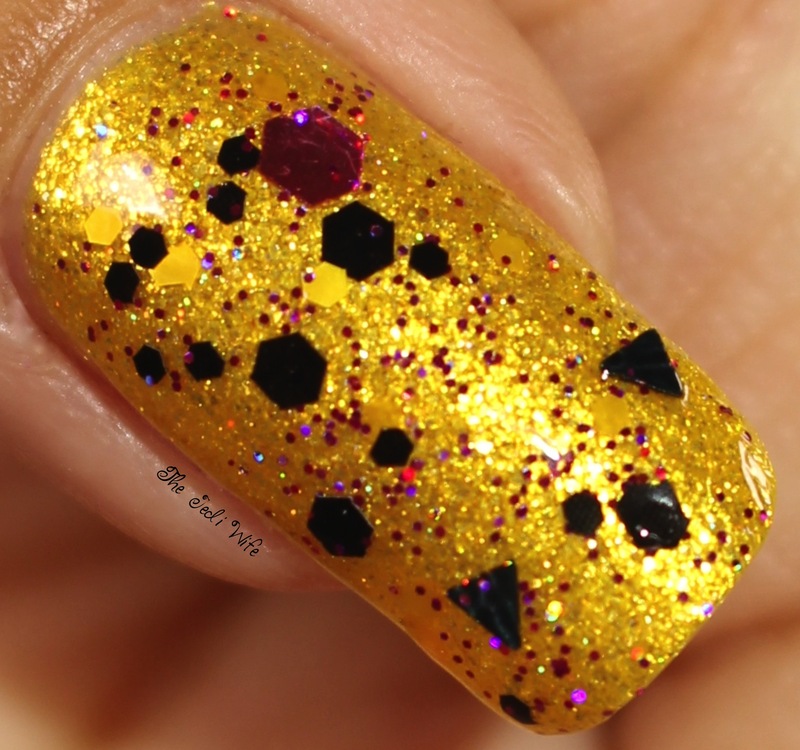 Will you be picking up the new Limited Edition Birthday polish? What returning shades are you happy to see coming back to the shop? What are you hoping to see relaunch in the future? I'd love to hear from you! Oh em gee! I want 84, Charing Cross Road so much, even more than Prosecco or Unicorn Pee/Fantasy Fire! That birthday polish is gorgeous! It's such a fun coral orange color! There's some very non-typical colors here. I like, especially the birthday one. 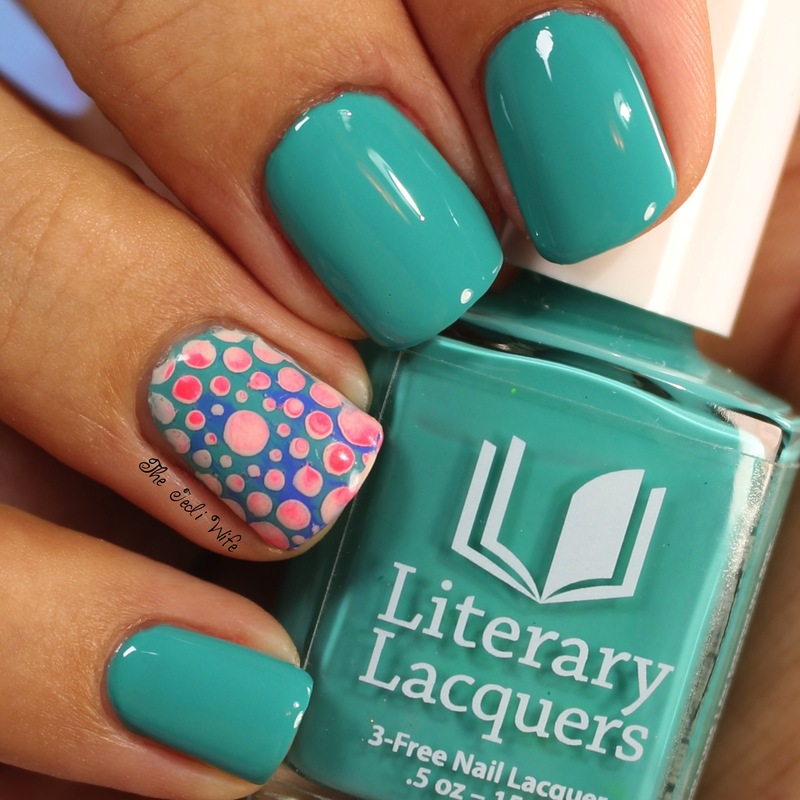 So many gorgeous polishes from LitLaq this month! So pretty! Unspeakably Desirable is a gorgeous shade indeed. Unspeakably Desirable is gorgeous on you! I love the larger mixed holo glitter added to your standard holo, gives some extra pop!! Gorgeous swatches! Win the Zoya Sophisticates Collection!